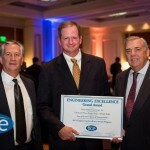 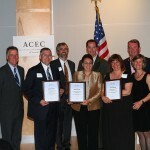 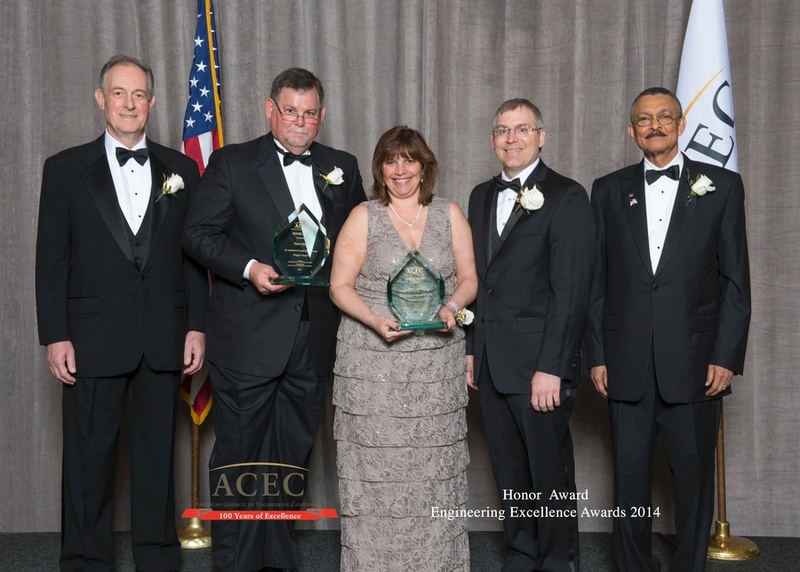 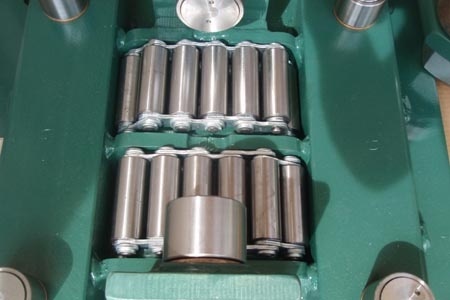 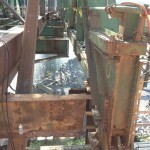 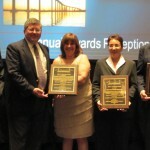 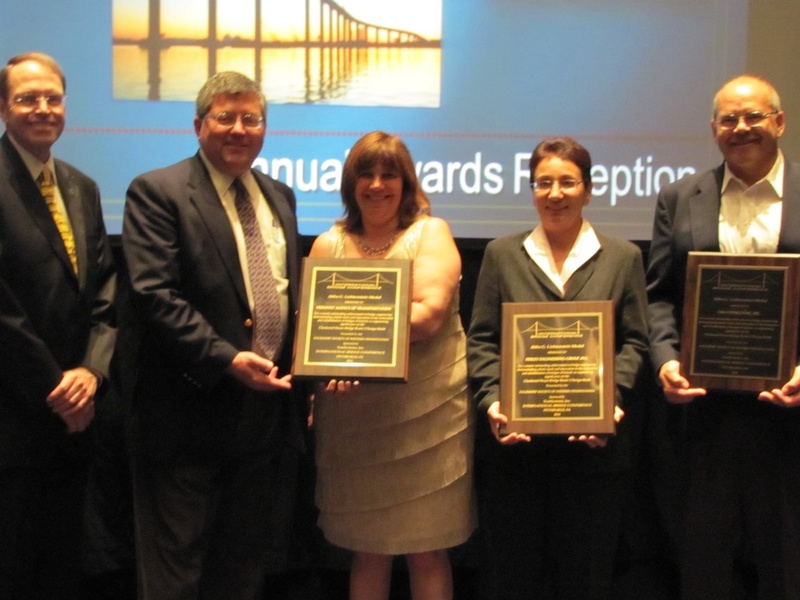 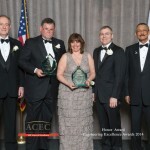 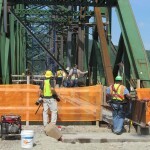 Harrison & Burrowes Bridge Constructors of Glenmont and CHA Inc.
Hilman Rollers. 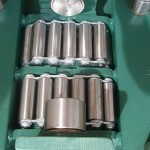 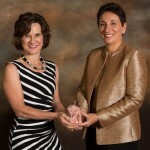 Ten specially designed 18-in. 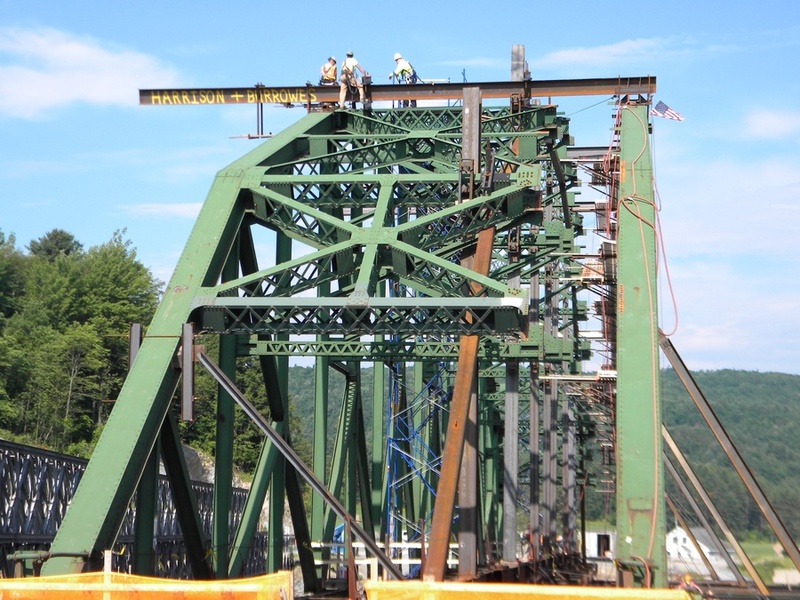 stroke capacity hydraulic ram systems were placed on the top and bottom chords and at each abutment, and provided carefully monitored constant pressure to nudge the 65-ton north truss on Hilman Rollers to its new location. 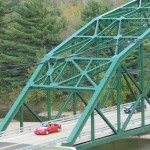 First time this technique has been tried on such a large bridge. 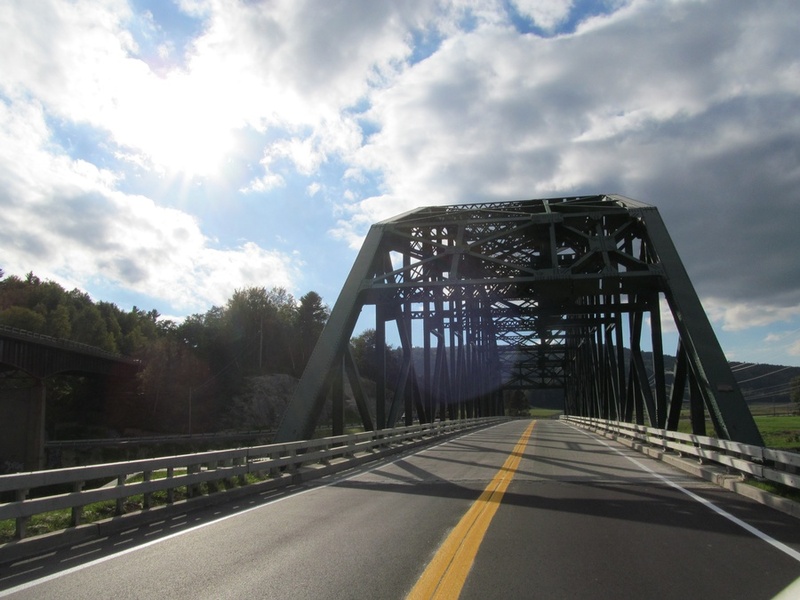 A piece of Vermont’s history is back open to traffic. 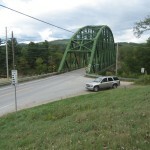 The Checkered House Bridge is the largest truss bridge in Vermont. 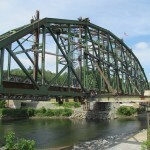 Built in 1929, it needed to be widened to accommodate traffic and enhance safety. 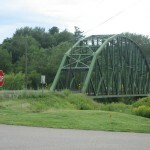 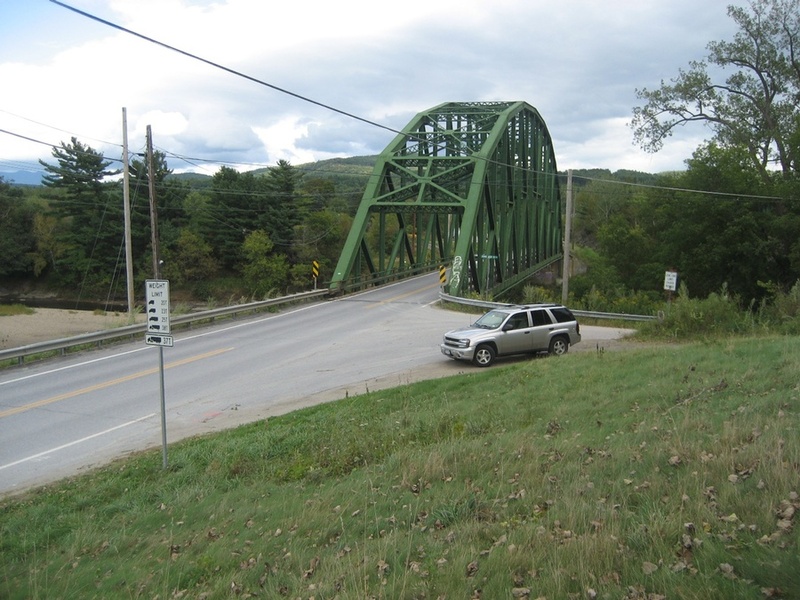 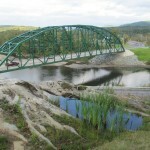 The bridge is the last of its kind in Vermont on a major roadway and is historically significant. 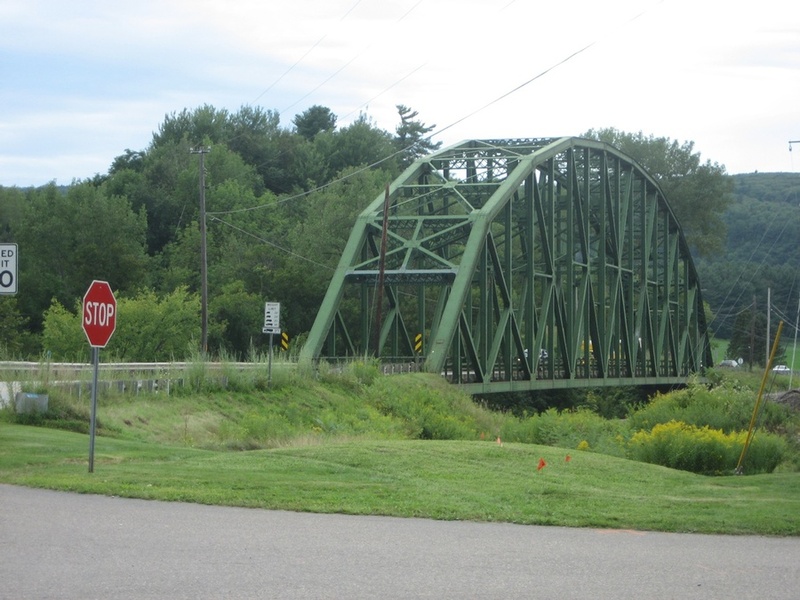 Because of its historical significance, federal law required the historic bridge be preserved as much as possible. 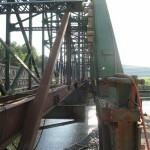 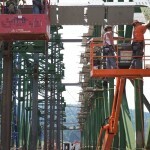 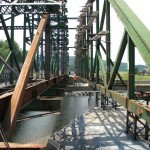 The design-build rehabilitation and widening of this 350 ft. span truss bridge was the first time such a technique had been tried on such a large bridge. 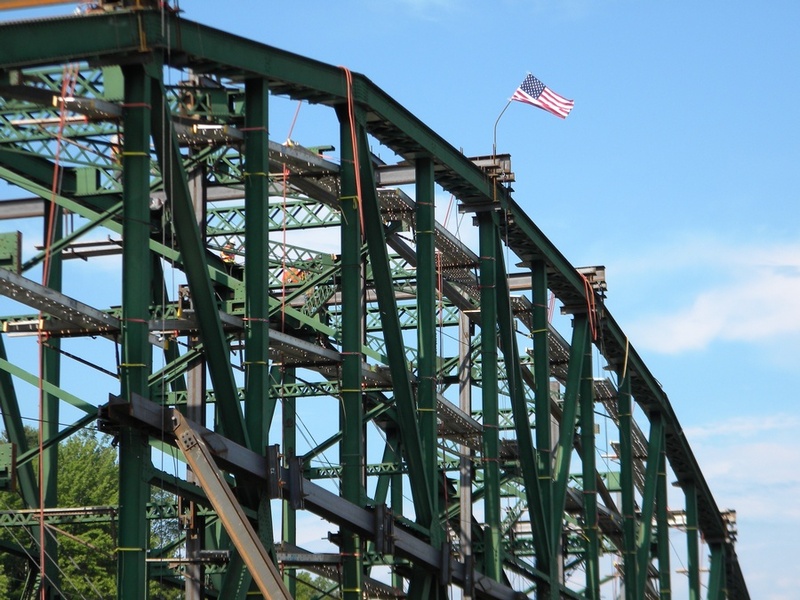 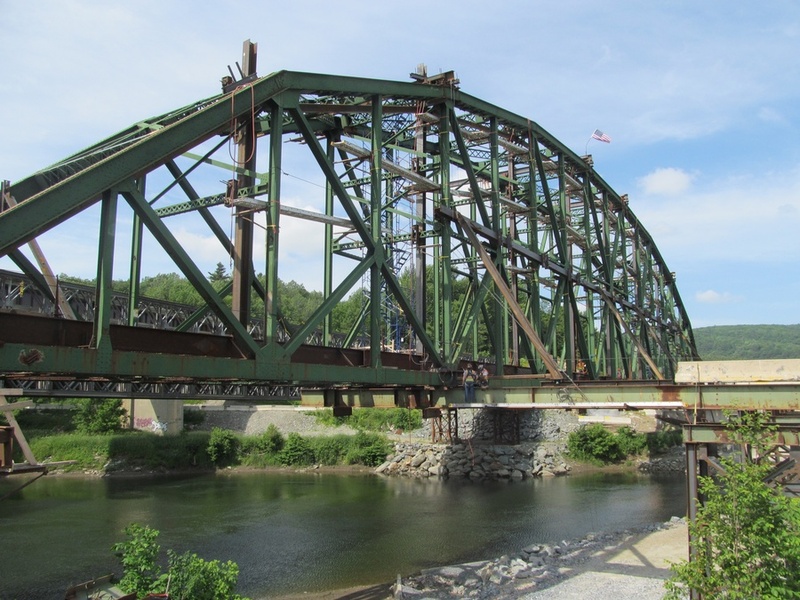 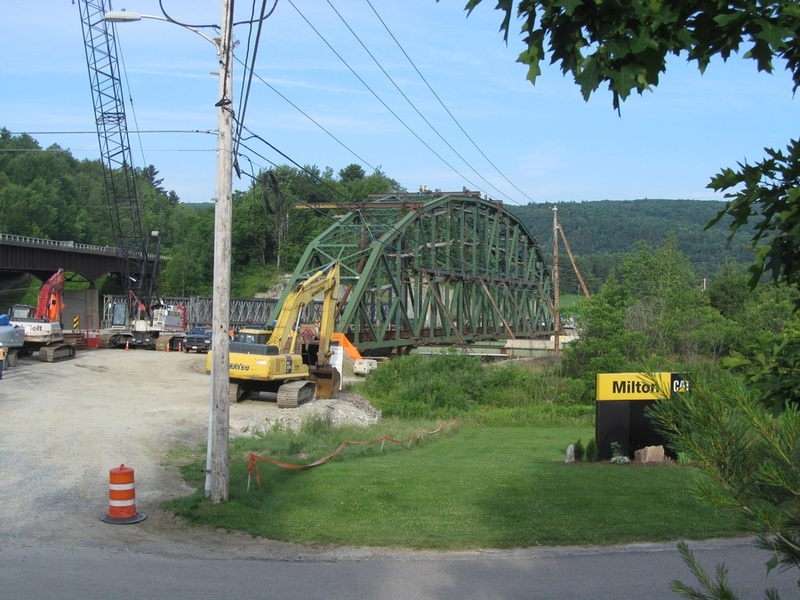 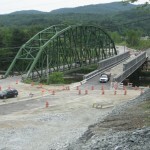 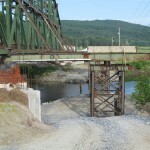 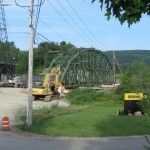 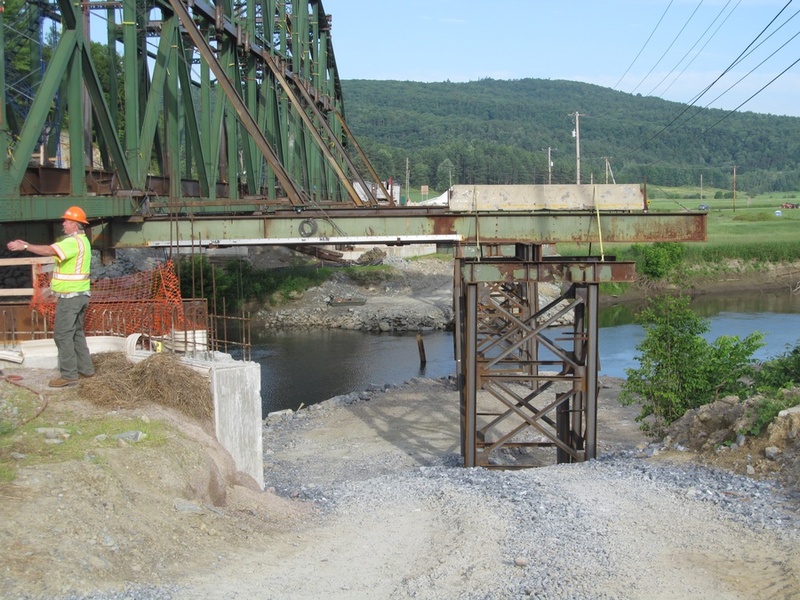 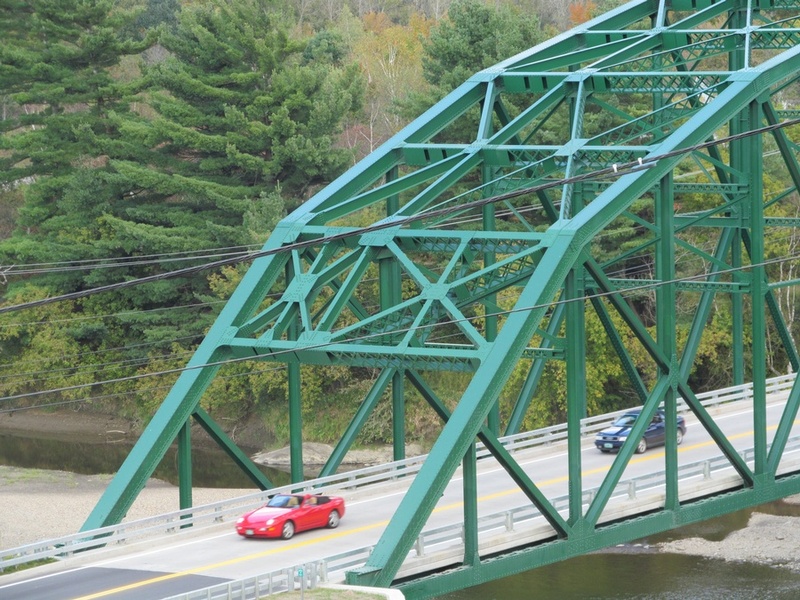 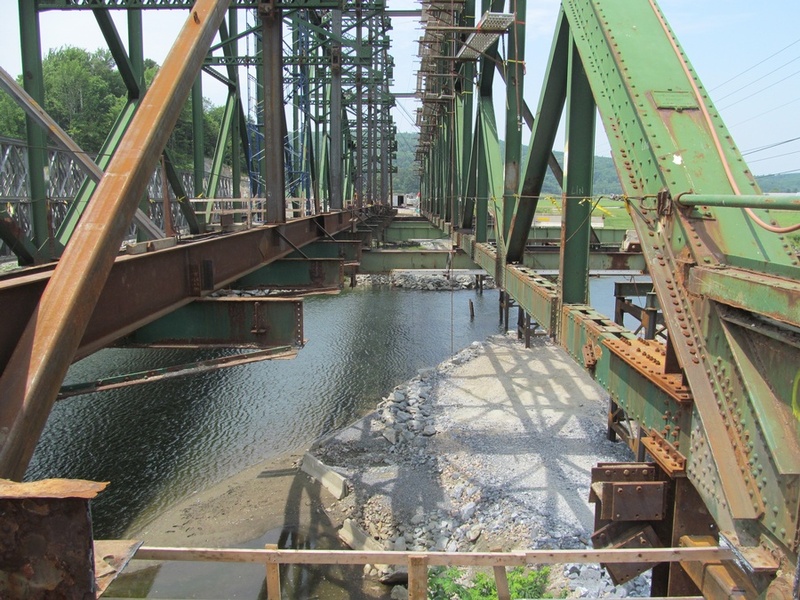 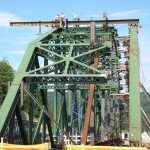 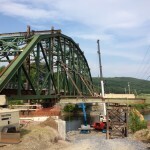 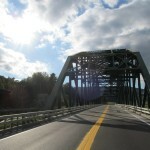 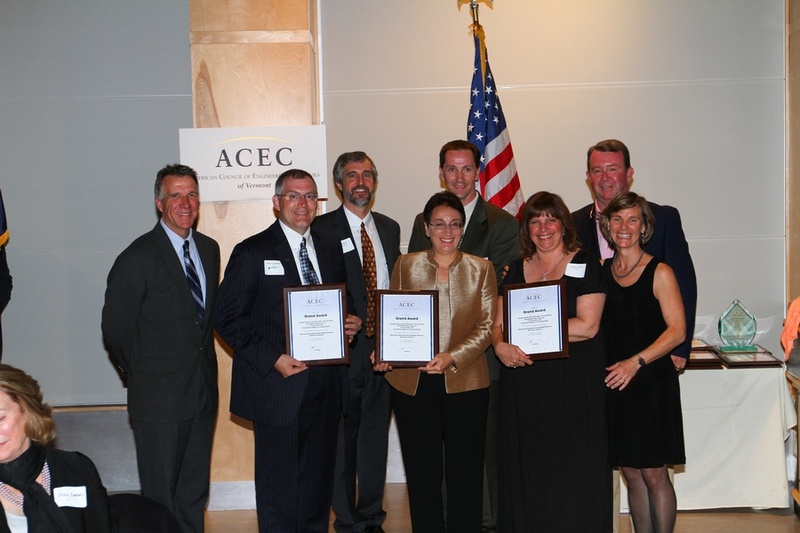 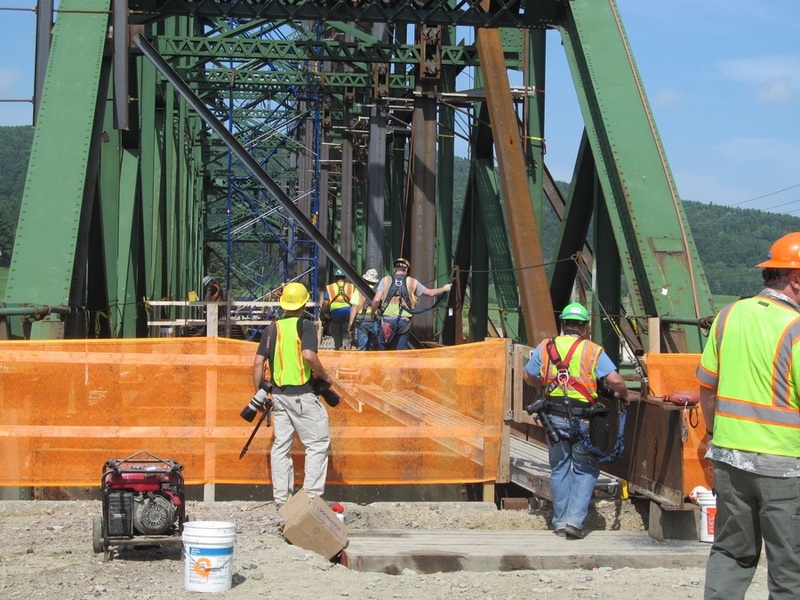 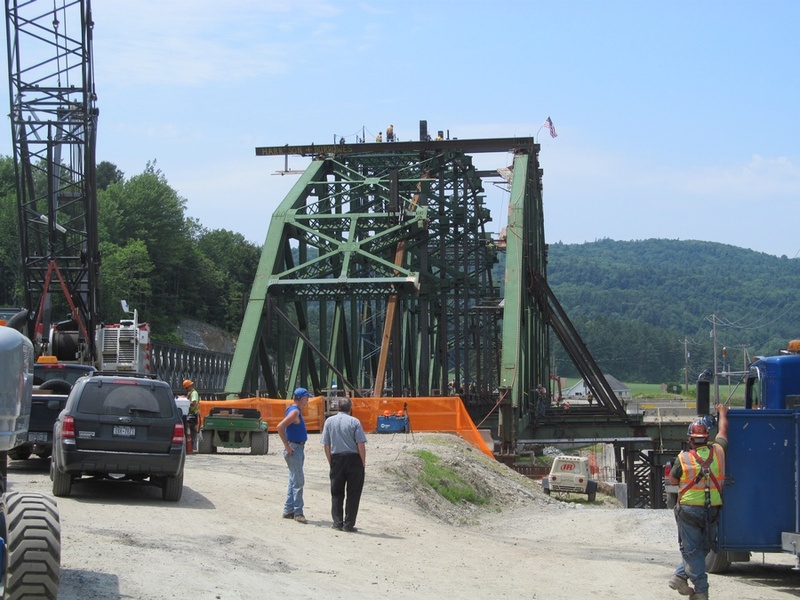 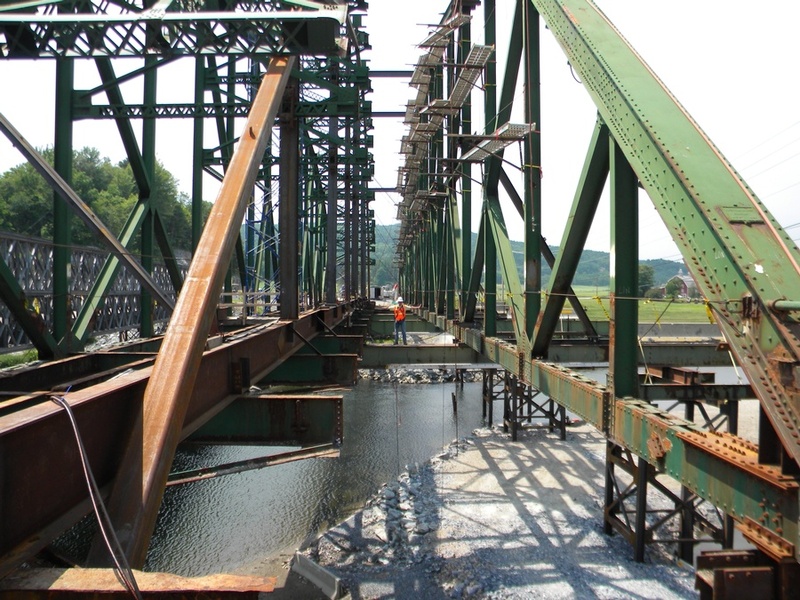 The Checkered House Bridge project was only the second design-build project undertaken by the Vermont Agency of Transportation (VTrans) since design-build project delivery was authorized by the Vermont legislature. 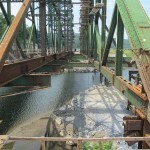 Approximately 12 ft., 6 in. 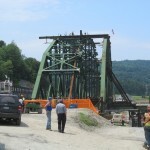 was added to its width, making it a total of 36 ft.-wide from truss to truss. 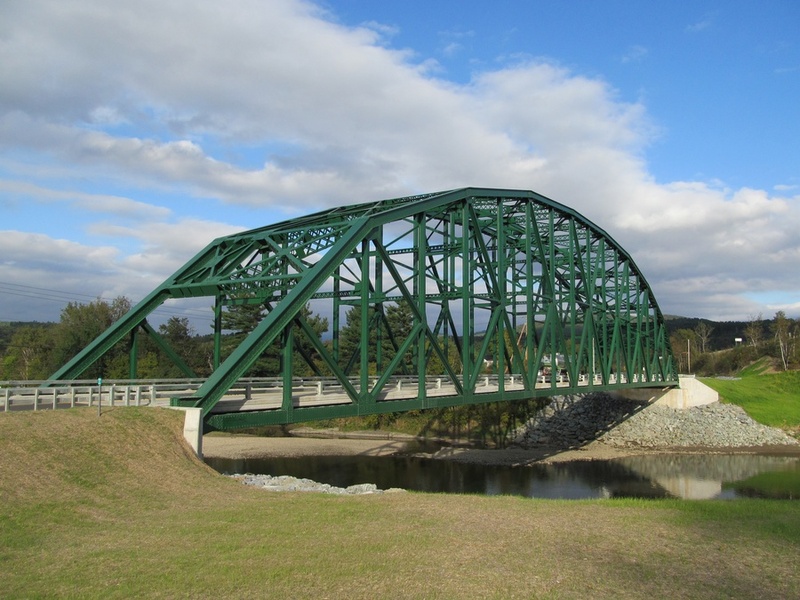 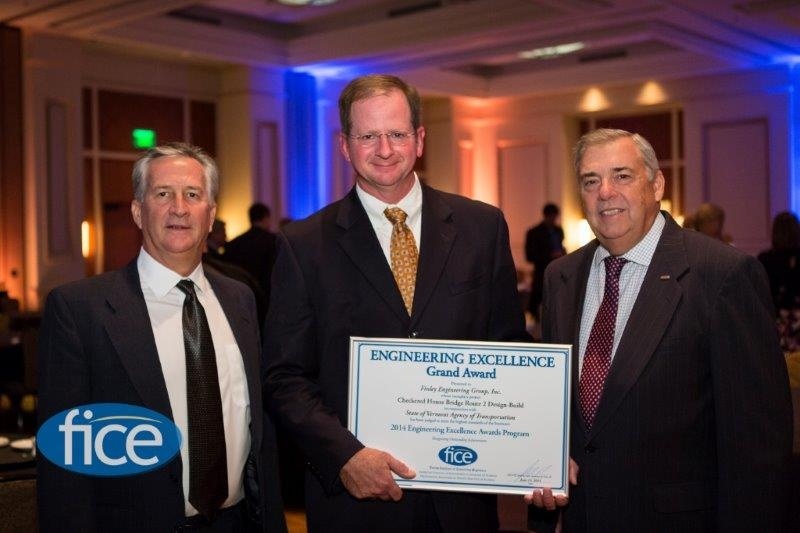 This project included two 11 ft. travel lanes and two 3.5 ft. shoulders, increasing the travel surface from 20 ft. to 29 ft.
FINLEY developed and implemented the concept to widen this truss bridge by cutting and moving the entire North truss chord in place by 12 ft., 6 inches. 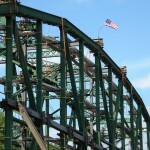 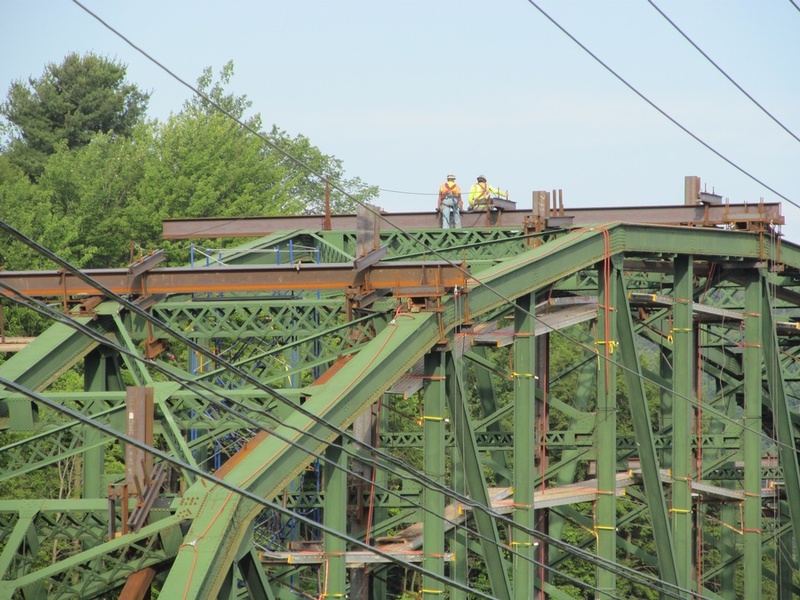 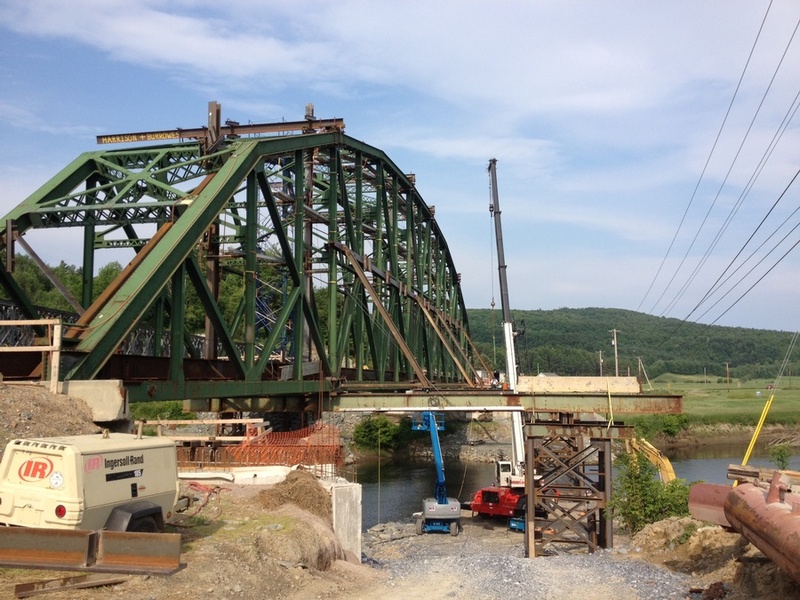 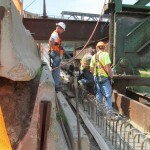 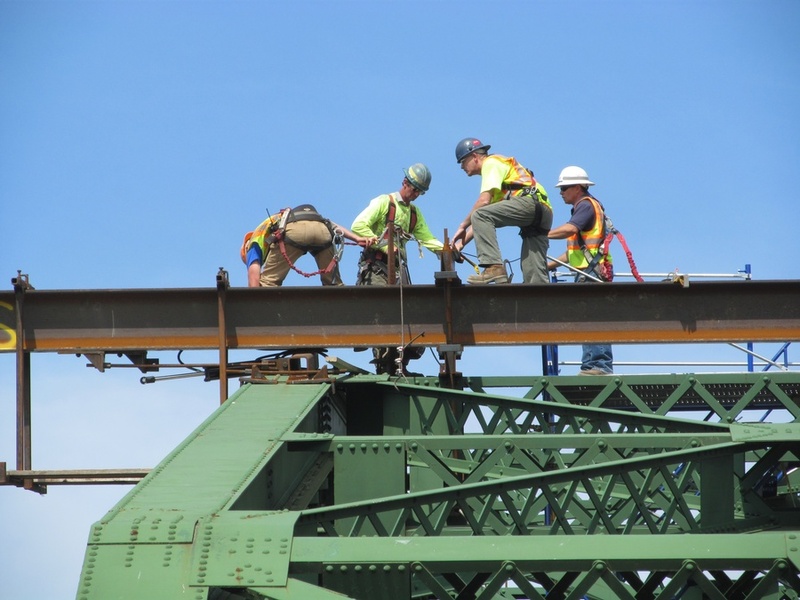 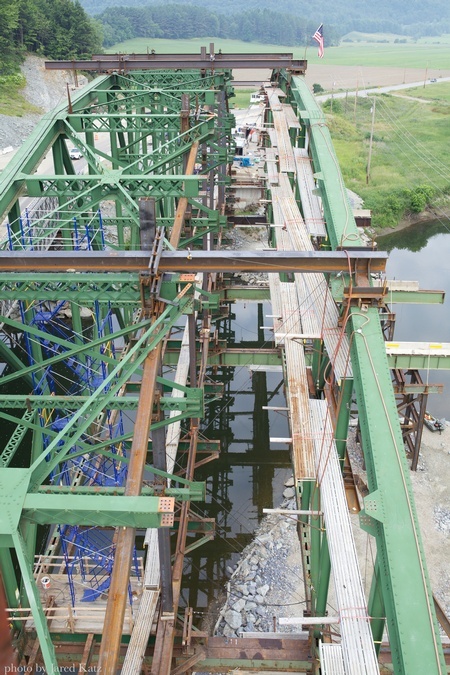 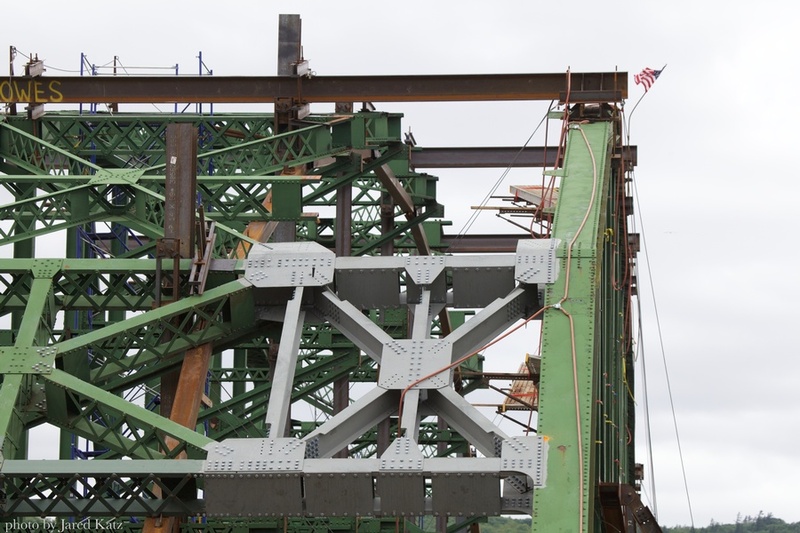 To maintain its historical integrity, the plan was to widen the bridge while leaving as many of the original steel members as possible and installing new structural bracing members within the widened portion of the bridge only. 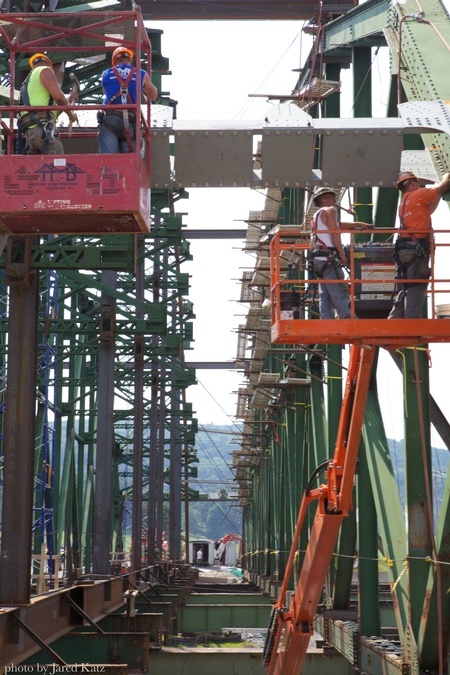 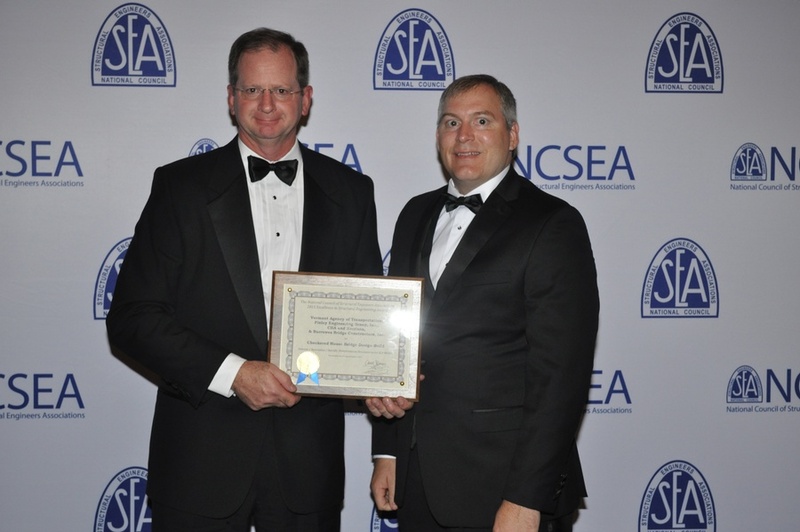 To accomplish this, FINLEY developed the original concept for a falsework and jacking system that allowed the North truss to be moved while still receiving lateral support from the South truss system. 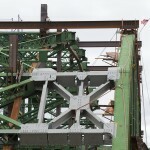 The South truss was designed to support the entire existing truss, bracing members with the aid of this unique falsework system that stabilized the eccentric self-weight, wind-loading, and jacking forces through the many phases of the North truss jacking operation. 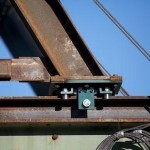 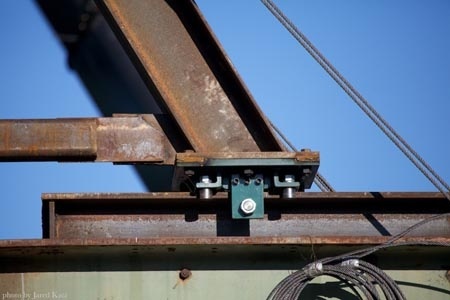 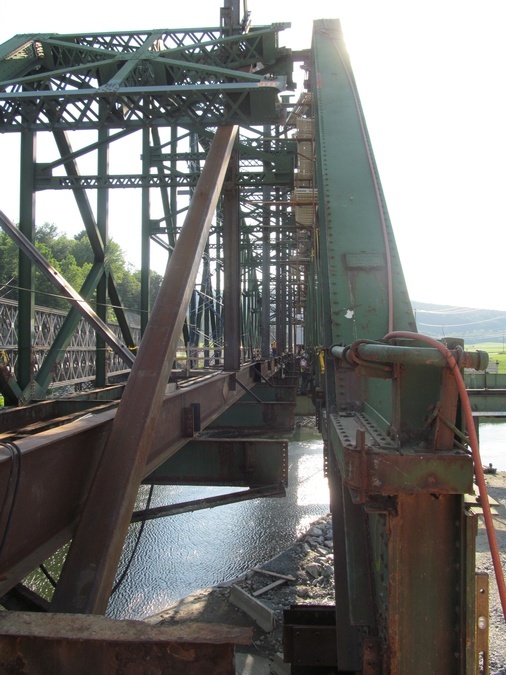 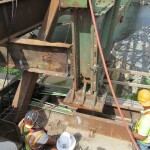 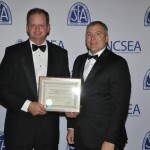 FINLEY designed the hydraulic side-launching jacking system that assisted with separation of the truss members from the existing connections, moved the North truss and facilitated fit-up of the new bracing members, as well as providing a means to adjust the camber of the North truss. 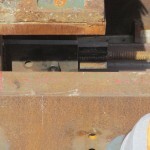 Ten specially-designed 18-in. 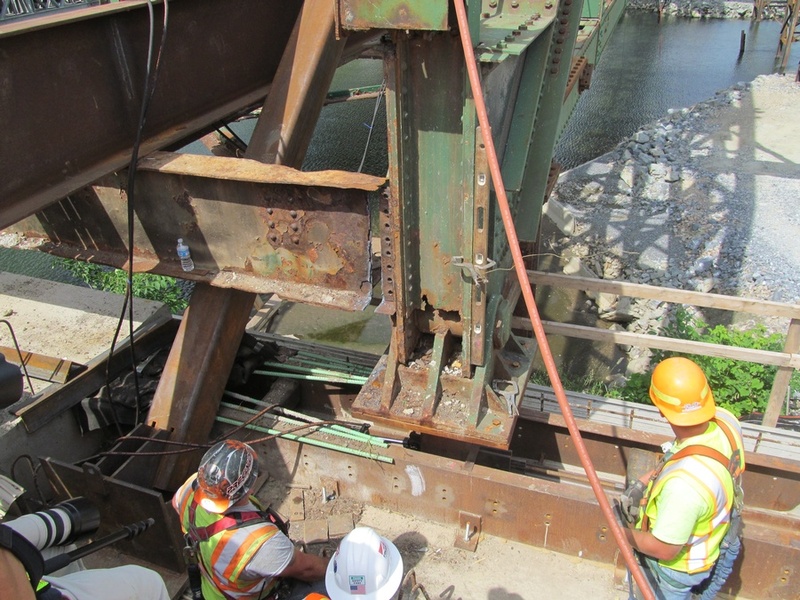 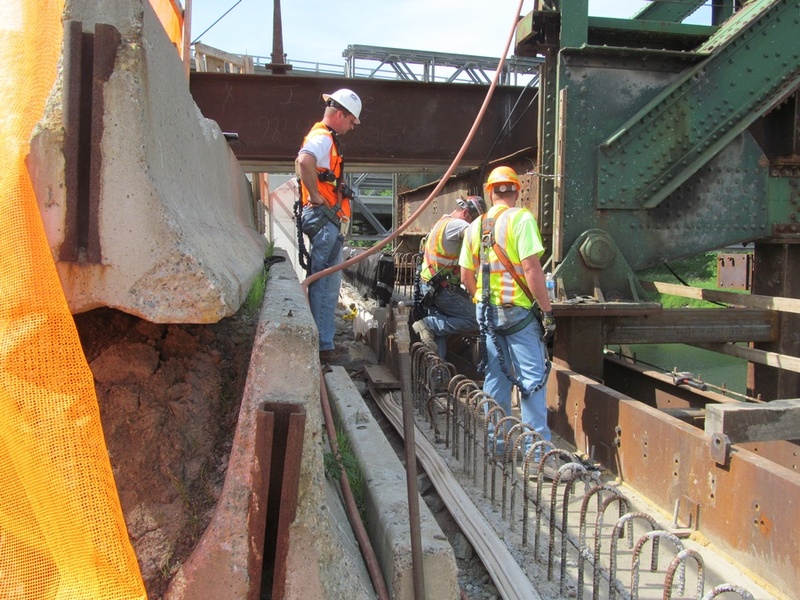 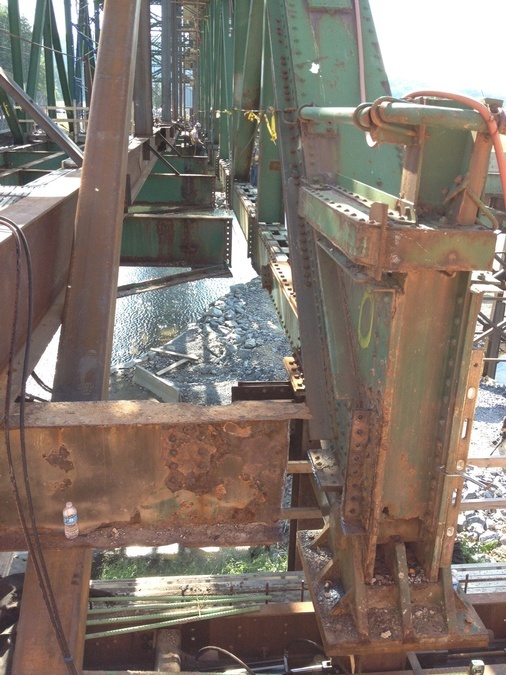 stroke-capacity, hydraulic ram systems were placed on the top and bottom chords at each abutment, and provided carefully monitored constant pressure to nudge the 65-ton north truss on Hilman Rollers to its new location. 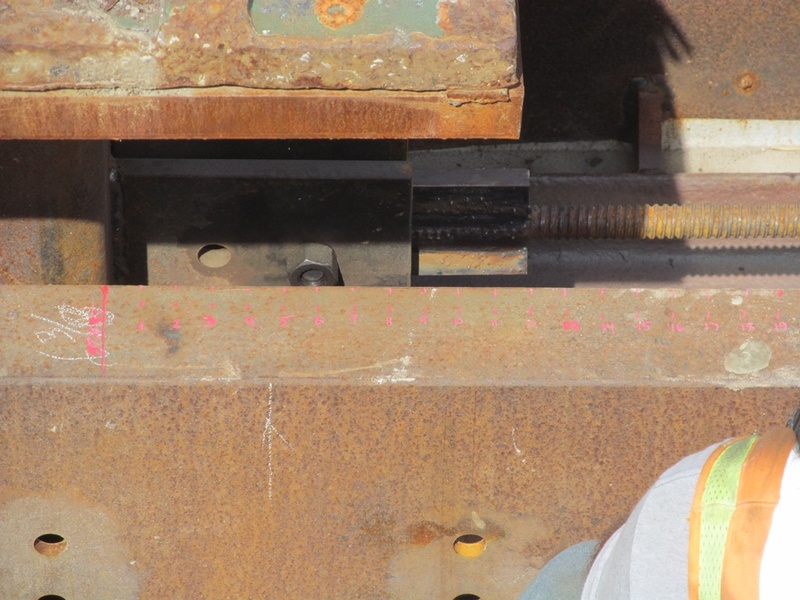 The side-launching was completed in 1.5 days, achieving a launching rate of 2 ft. per hour. 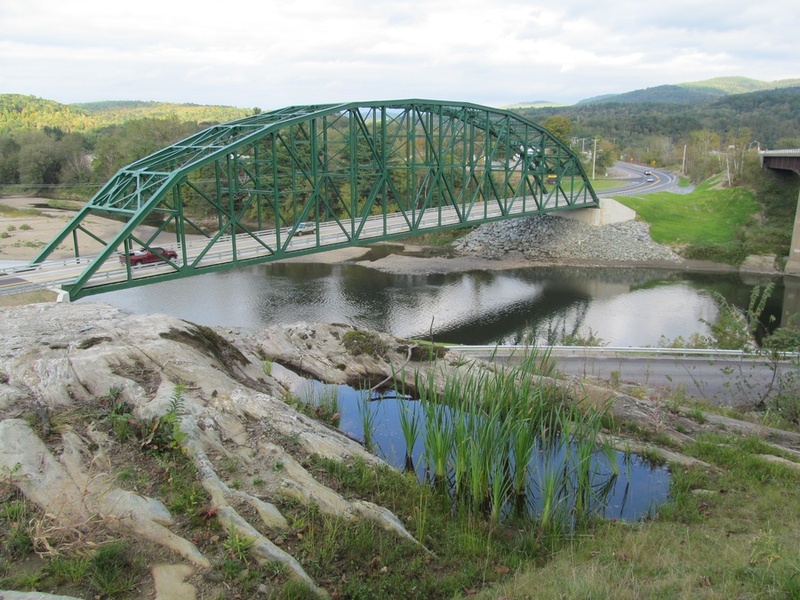 This project included many other challenges including ice flows, wind loading, maintaining aesthetics, and sensitive environmental issues. 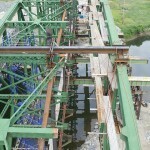 This project was completed on-time and on-budget. 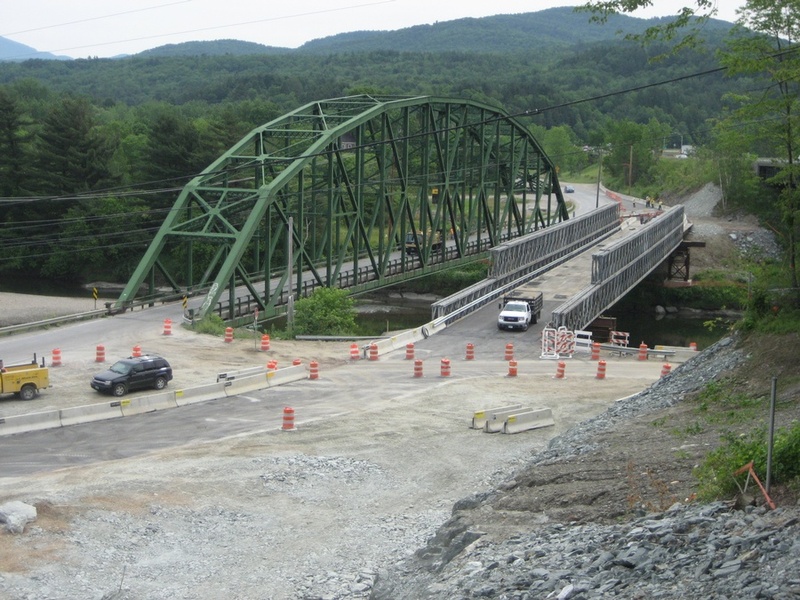 VTrans opened the Checkered House Bridge on May 28, 2013.